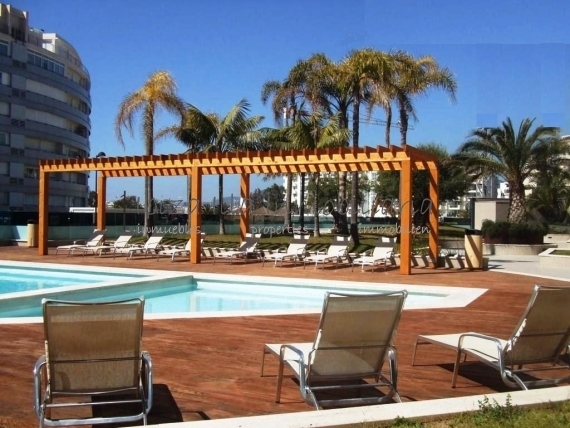 In a very modern building next to the Yacht harbour of Marina Botafoch is this flat located. Facing southwest guaranties sun all day long on the beautiful terrace with views to the harbour and Talamanca beach. The flat is like new and it is distributed in 3 bedrooms, 2 baths, dining room, lounge and fully fitted modern kitchen. There is an elegant comunal area with palmtrees, olivetrees and an amazing swimmingpoll with sunbeds around it. There is a 2 parking spaces included in der Price. A top quality flat in a very popular area. You can not miss it! !